We all know that we should test before we deploy. But few of us have easy access to a testing lab and the time required to run multiple tests for different hardware models. 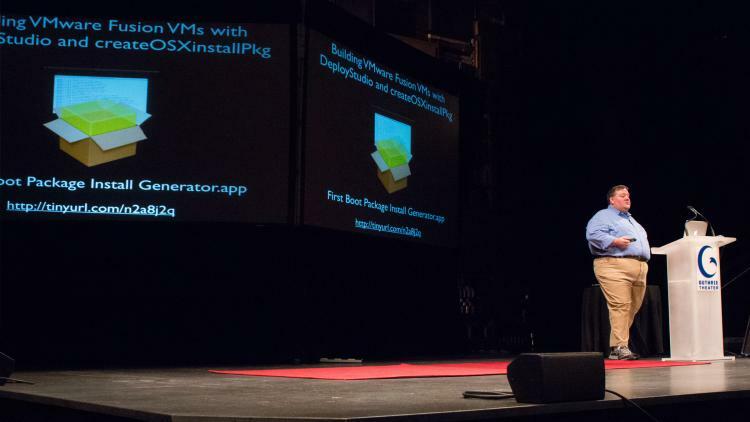 In his presentation, Rich Trouton suggested a way to rapidly build OS X virtual machines for testing, using VMWare Fusion or ESXi. Recent versions of VMWare Fusion and ESXi have added support for Apple technologies, including NetBoot and FileVault. This means you can build VMs with the same imaging workflow you use for deploying Macs in your organization (such as Casper Imaging or DeployStudio). You can also emulate specific Mac models by configuring the VM with an Apple model identifier.